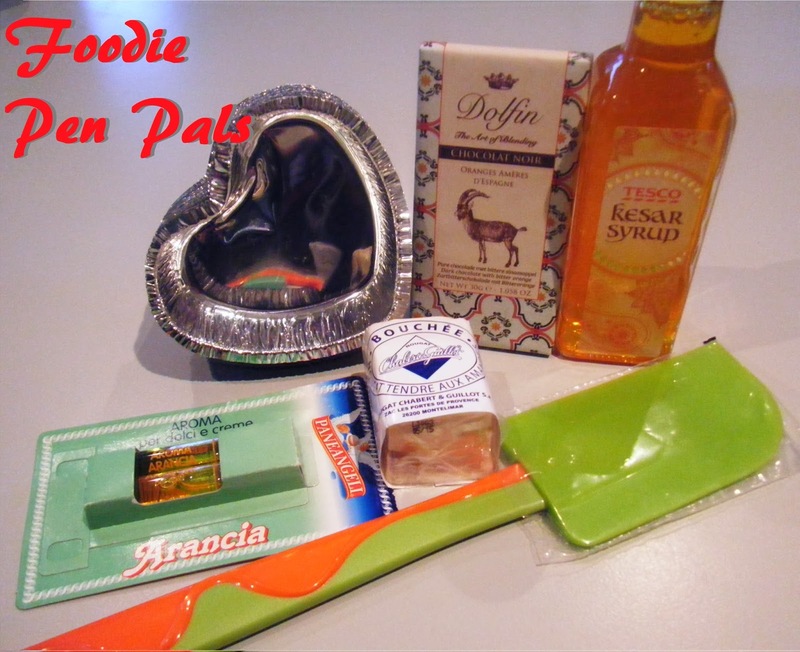 Another lovely Foodie Pen Pals parcel arrived in the post today, it's miserable outside and Christmas seems like it was a long time ago so this box really cheered me up. In November, I received a box from Spain and this month I've received a box from UK based blogger, Rachel at Food Nerd For Life. 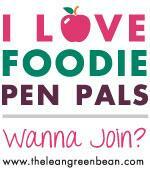 While you don't need to be a blogger to take part in Foodie Pen Pals, I do love reading the round up posts and seeing what everyone has received. I've popped some information about taking part in the swap at the bottom of this post. The little bar of chocolate nearly didn't make this post as chocolate and orange are a favourite flavour combination of mine and I couldn't wait to tuck into it. I thought perhaps, that there might be goats milk in the bar because of the goat on the packaging. I looked up the Belgian producers Dolfin and found this range of chocolates all have different animals on them and after tasting the deep cocoa flavour of the bar it's clear there is not a drop of any kind of milk in this dark bar, it's wonderfully bitter. The nougat is from a food hall that Rachel recently visited in Dublin and she's been blogging about her trip over at Food Nerd 4 Life. 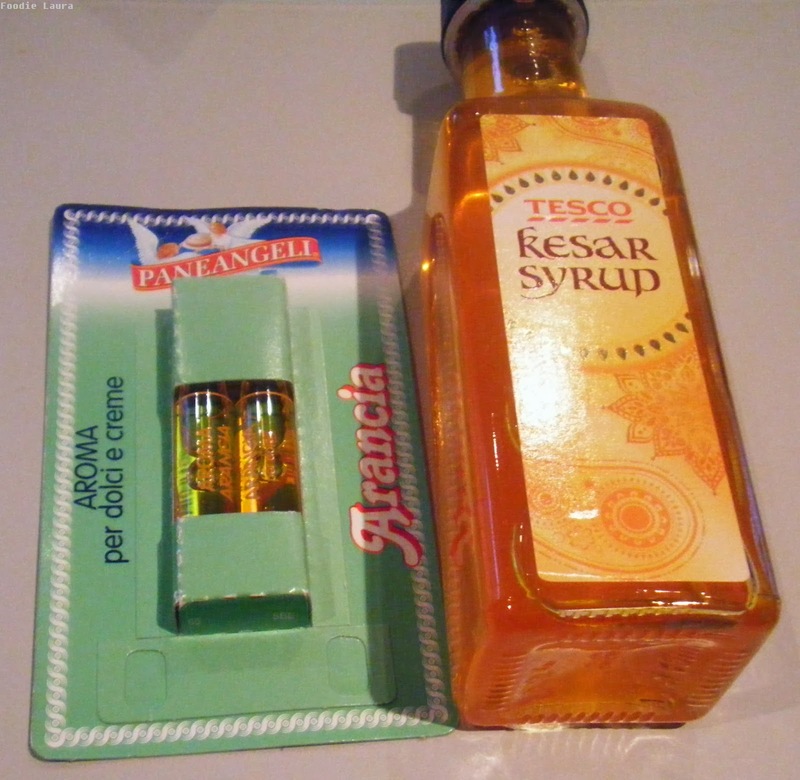 Like a child at Christmas I ripped into the parcel before reading the card and was rather puzzled by the kesar syrup and the little orange vials, I didn't know what either of them were. Kesar syrup is saffron syrup and is used in sweet Indian dishes which the lovely note from Rachel helpfully explains. The vials contain orange essence, I definitely feel a baking session coming on something orangey and heart shaped perhaps?